The Battle of the Trench in 627, in which Mohammad successfully defended Medina against the Jews and their Arab allies by digging a trench. Everyone knows who won WWII. And unfortunately they know who lost the Vietnam war. But Western analysts are arguing over whether Israel or Hamas won the recent conflict in Gaza. Hamas, for its part, is celebrating with so much random gunfire that at least two people have already been accidentally killed. I look at it differently. I see the 50 days of conflict as a learning experience for both sides. Hamas, for its part, learned that Israel can focus an enormous amount of firepower on its targets, if it wants to. They also learned that no matter how much it is provoked, Israel won’t cross the line into creating mass civilian casualties, the way American or European forces might. Israel learned, if it didn’t already know, how deep the hatred runs in its enemies. Both sides learned that Israel’s Iron Dome system is effective against rudimentary rockets aimed at targets more than a few miles from their launchers. And both sides learned that there is as yet no solution for mortars at closer ranges. Israel learned that tunnels are dangerous, while Hamas learned that it better keep its commanders underground for the duration of the next war. Hamas learned that it can count on the media to tell its story with just the tiniest bit of intimidation. Israel is about to learn, yet again, that the “international community” is out to get it with kangaroo courts and hearsay accusations of war crimes, while Hamas, yet again, has had its strategy — the “double war crime” of firing at civilians from within civilian areas — validated. Israel lost 64 soldiers and a handful of civilians, while Hamas lost about 1000 of each — actual numbers are impossible to get, but that’s close. The terms of the cease-fire do not give Hamas any gains for its trouble, but then they don’t give Israel anything either, except quiet for now. Both sides’ significant demands will be discussed in the following weeks. Israel would like Gaza to be demilitarized; and Hamas would like all restrictions on imports lifted, prisoners released, a seaport and an airport constructed. My guess is that as a result of international pressure, Hamas will get some of what it wants and of course will not disarm. As always, Israel will have prevailed in the military part of the conflict but lost out in the diplomatic aftermath. There’s no doubt that the world will immediately open its pockets to Gaza, blessed as it is by its choice of enemy. The double war crimes, the fact that 88.9% of Gazans favor the firing of rockets into Israel, the fact that Hamas was the aggressor that started the conflict and refused or broke some 11 cease-fires will not matter. It will be as though Gaza suffered a massive earthquake or tsunami and needs to be made whole as soon as possible. With the connivance of its friends, Hamas will divert as much aid as possible to military purposes. And then in some months or years there will be another round. Because, after all, there will still be Jews in ‘Palestine’. It wasn’t a war. It wasn’t even a battle. 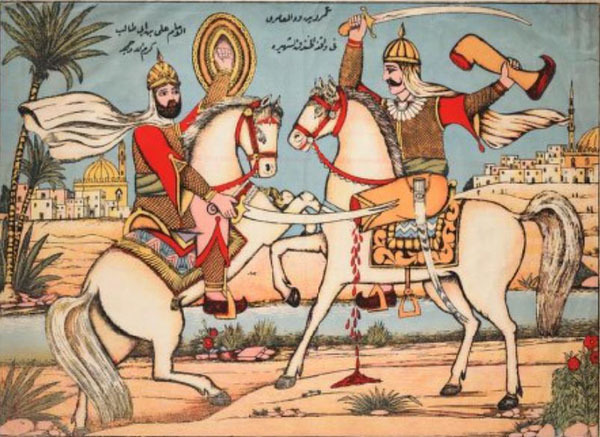 It was a skirmish in the long war between Islam and the Jews. There will be more of them. And if Israel wants to survive, it had better start seeking victory in these skirmishes, not quiet.